You may need to cancel your weekend plans. Apparently, a rare ‘black moon’ is set to appear on Friday, and is, according to some, a sign that the end of the world is nigh. 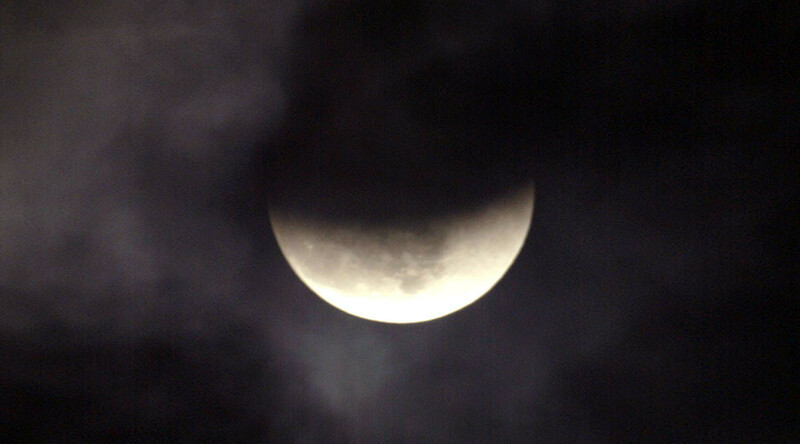 The black moon will cloak the Western Hemisphere in darkness on Friday and could be linked to the apocalypse. Conspiracy theorists are worried that after a “ring of fire” solar eclipse was witnessed on September 1, during which the moon lined up with the Earth and the sun above Africa, and now a black moon only weeks later, this could mean we’re done for. One anonymous Facebook user noted how these are “signs are letting us know that Jesus is soon coming,” according to the Express. “We are approaching the end of our world and the end of life on Earth for all human being. Every day, we have to come closer to our savior Jesus Christ. For none can escape for what is coming for the Earth,” the conspiracy theorist wrote. A black moon occurs when two new moons happen in one month, with the second moon basically invisible as the illuminated side is facing away from Earth. A blue moon is the opposite, when two full moons happen in the same month. The last black moon happened in March 2014 and it won’t happen again in the Western Hemisphere until July 2019. Whether this black moon is a sign that the end is nigh or not, the dark sky on September 30 will make for excellent stargazing conditions.